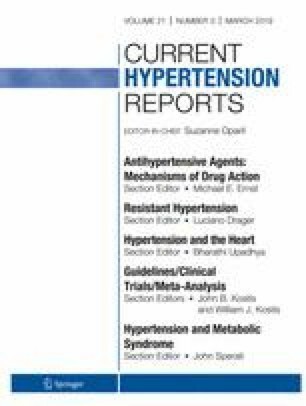 To examine the impact of the new 2017 ACC/AHA hypertension guideline on the prevalence of hypertension, its constituent ratio, and their associated factors in southwest China. A total of 14,220 permanent residents ≥ 18 years were enrolled in this survey. According to the 2017 ACC/AHA hypertension guideline, the hypertension prevalence was substantially increased (46.9% vs. 24.5%); consistent across different age and gender groups, while the hypertension awareness (23.8% vs. 45.6%); treatment (18.6% vs. 35.5%); control (2.3% vs. 11.2%); and control among treatment (9.6% vs. 24.0%) patients were decreased in southwest of China. In our cohort, 31.1% participants were newly diagnosed as hypertension. Young adults accounted considerable proportion in this newly diagnosed hypertension population. The proportion of young hypertensive individuals substantially increased, whereas those of the older hypertensive subjects decreased. Among the hypertensive subjects aged ≥ 65 years undergoing treatment, 90% of the elderly subjects were not eligible for hypertension control and 32.5% have systolic blood pressure control at 130–149 mmHg, and thus need to intensify antihypertensive treatment according to 2017 ACC/AHA hypertension guideline. Smoking, drinking, body fat percentage, and body mass index were considered the factors associated with hypertension according to the Chinese hypertension guideline but not in the 2017 ACC/AHA hypertension guideline. The adoption of the 2017 ACC/AHA hypertension guideline will substantially increase hypertension prevalence in southwest of China. The new definition of hypertension implies that more young adults will likely suffer from high cardiovascular risks, while additional one third of elder hypertensive subjects will likely need intensified antihypertension treatments. Dan Li and Xiaofang Zeng contributed equally to this work. This study was approved by the Ethics Committee of the First Affiliated Hospital of Chongqing Medical University and all subjects signed informed consent for data collection and analyses prior to participation. Dan Li, Xiaofang Zeng, Yi Huang, Han Lei, Ge Li, Nan Zhang, and Wei Huang declare that they no conflicts of interest. World Health Organization. A global brief on hypertension : silent killer, global public health crisis: World Health Day 2013. World Health Organization. 2013. http://www.who.int/iris/handle/10665/79059. Listed N. Cholesterol, diastolic blood pressure, and stroke: 13,000 strokes in 450,000 people in 45 prospective cohorts. Prospective studies collaboration. Lancet. 1995; 346(8991-8992):1647–1653. https://doi.org/10.1016/S0140-6736(95)92836-7.